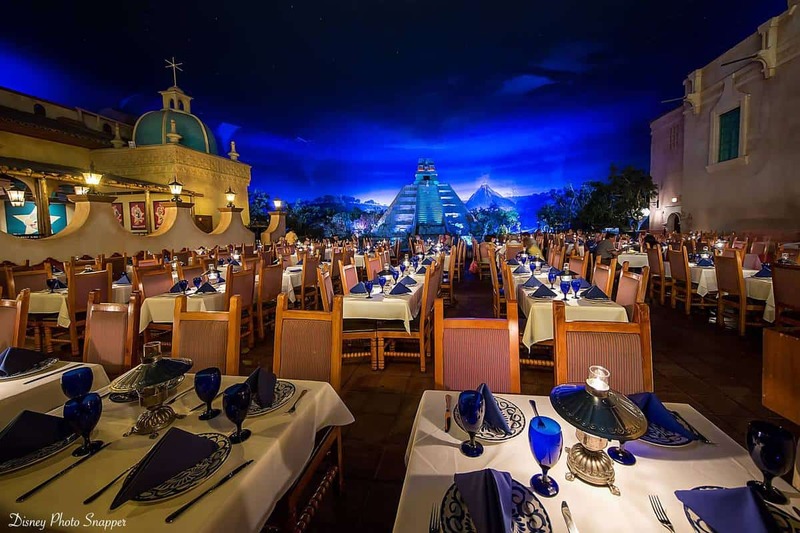 3) San Angel Inn Restaurante – The Mexico Pavilion in Epcot’s World Showcase is home to several dining locations, but none as popular as the full service location found inside of the ancient pyramid. The San Angel Inn Restaurante is found in the Plaza de los Amigos, which is an open air marketplace alongside the river where it is always nighttime. Guests can dine on authentic Mexican cuisine while enjoying the gently flowing river, softly smoking volcano in the distance, and the bustling marketplace. Guests who dine at the restaurant for lunch or dinner on the dining plan should begin their meals with one of two $14.00 appetizers. The Queso Fundido features Monterey Jack melted cheese served with chorizo, poblano peppers, onions, and flour tortillas, and the Coctel de Camaron offers Acapulco-style shrimp cocktail with spicy marinated tomato sauce, avocado, lime, and flour chicharron. The entrée option with the best value at San Angel Inn Restaurante is the Carne Asada Tampiquena which is a New York Strip served with cheese mole enchilada, chipotle rice, black beans, guacamole, onions and poblanos rajas. The restaurant also serves up five delicious desserts which are each $8.00 and guests can choose between the Traditional Vanilla Flan, Helado de Dulce de Leche, Nieves, Mousse de Chocolate, or the Paste de Queso con Cajeta. To finish off a delicious meal at San Angel Restaurant, guests can choose between the Gin Agua Fresca Margarita or the Minty Pineapple Margarita which are both $15.00.